Although Chipotle Mexican Grill’s contamination crisis ended more than a year ago, it’s still rare to see a news story about Chipotle without having E. coli somehow inserted. Even so, hammering home a message of food safety hasn’t become an integral part of Chipotle’s comms plan. "You would never go home to your spouse and say, ‘Honey, I didn’t have an affair today,’" says Chipotle PR director Chris Arnold. "You’re not going to reinforce this issue in the minds of people to whom it’s not an issue." However, Arnold, the head of comms at Chipotle since he joined in 2003, does note that the E. coli outbreaks, which were declared over in February 2016, became a defining part of the chain’s culture. He refers to them as "the perfect storm of awful." "Most food safety things play out in a matter of days — a cluster of illnesses is identified, a probable culprit and cause are identified, they are removed, and it’s over," Arnold explains. "What made that set of circumstances challenging is the investigation went from November 2015 until the end of January 2016." In the immediate aftermath, Chipotle’s main problem was losing consumers’ trust. The crisis resulted in a 13% drop in sales for 2016 — Chipotle’s first annual decline since it went public more than a decade ago. Chipotle quickly addressed the matter through visible changes to food safety systems and an emphasis on transparency. But other problems kept piling on. CMO Mark Crumpacker, whom Arnold reports to, was placed on leave for a cocaine arrest and later returned to his position; late last year, co-CEO Montgomery Moran stepped down, leaving founder Steve Ells as the company’s sole chief executive; and just as the company recovered from its food safety woes, Chipotle had to deal with a data breach. In December, Crumpacker identified poor in-store experiences, not food safety worries, as the main driver of poor sales. Customers frequently face long lines, messy dining areas, and a shortage of ingredients. The multiple crises spurred Chipotle to change things from an operations perspective beginning earlier this year, with the primary aim of enhancing the customer experience. "Before, our culture was characterized by an emphasis on the development of people and leadership among our restaurant teams and throughout the company," notes Arnold. "It was overly complicated and rooted in a lot of esoteric ideas of leadership." That served Chipotle well in terms of the caliber of people it was attracting and efforts to keep the best performers among them. However, what was missing was a real, meaningful, and carefully articulated commitment to customer experience and hospitality, Arnold explains. "Enhancing the customer experience might include recent upgrades to digital ordering through a platform we call Smarter Pickup Times or enhancements to our catering offering," he says. As part of Chipotle’s changes, the company has overhauled the incentive compensation system for its restaurant and employees to better reflect that. "Most incentives for restaurant managers were tied to their effectiveness in developing people to go off to be restaurant managers," notes Arnold. "Now their incentives are driven entirely by five different metrics [concerning service and food safety]." Through all the hiccups, Crumpacker says Arnold has somehow managed to keep his sense of humor. "Arnold is terrific at amplifying our message and telling our story in a very media-friendly way," Crumpacker explains. "He’s the guy you want answering the phone at 2 a.m., or anytime. He’s certainly earned his stripes over the last couple of years." Over the course of the last 14 years, Arnold’s role as PR director has become bigger and more complicated. When he first started, his primary focus was media relations and publicity. 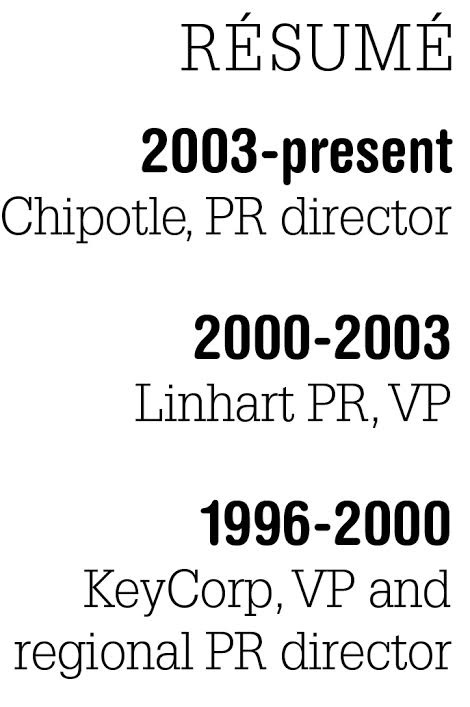 "Chipotle is an exceedingly in-demand company on the media front," he says. "People are super interested in pretty much everything we do." Because of this, Arnold’s approach to crisis comms doesn’t differ much from the way he handles comms on a normal day. His motto: Be accessible and transparent. He admits that can be difficult to uphold because media interest in the company is so intense. 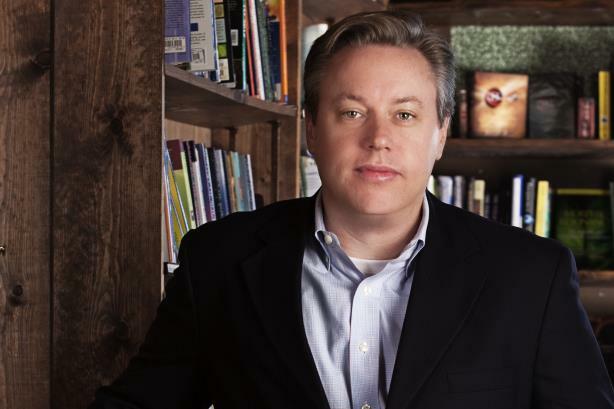 "When something anomalous happens — good or bad — that level of interest goes up," he explains. During an earnings call this year, the company mentioned it would begin a dessert test in select restaurants. That news generated more than 400 million media impressions, Arnold says, which is defined as the circulation, number of website visitors, and broadcast audience figures of a given outlet. Another announcement that got a lot of attention was when Chipotle shared in April it had removed all artificial preservatives from its tortillas. That earned media push generated 1.1 billion impressions. 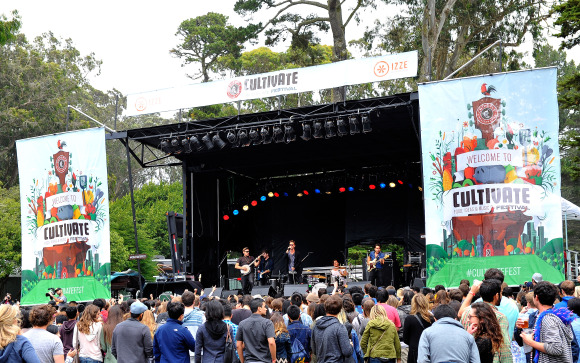 On top of media relations, Arnold oversees the Chipotle Cultivate Foundation, a board-run nonprofit established in 2011, acting as a link between the company and the foundation board. It aims to create a more sustainable food future by promoting good stewardship for farmers; promoting better livestock husbandry; encouraging regenerative agriculture practices; and fostering food literacy, cooking education, and nutritious eating. Crisis and issues management fall under his responsibility, and government relations has also been added to Arnold’s remit in recent years. He explains that Chipotle’s approach to government has always been different to others in the fast-casual category, which tend to focus on operational details such as soda size restrictions, minimum wage, and healthcare. "We focus more on things that are true to or represent in some way what our brand, vision, and ideals are about," he explains. "We have endorsed several GMO labeling proposals, and we have been long-time supporters of the effort to curb antibiotic use in livestock farming." Arnold’s immediate team is a small one. Only one person reports directly to him: Quinn Kelsey, PR and comms manager. The burrito chain’s U.S. AOR is Burson-Marsteller, and national field marketing PR is handled by Linhart PR. Arnold works closely with Chipotle’s social media team, which focuses on customer service and direct customer engagement. He gets involved with that when sensitive or critical issues arise. "We are engaged with customers very directly through social media and respond to every comment that comes to us on Twitter or our Facebook page," Arnold notes of Chipotle’s approach to social media. Internal comms falls within the restaurant operations unit. Chipotle’s approach to IR is direct, with the company participating in several finance conferences and meetings with investors during the year. "We try to be forthcoming and transparent with information," says Arnold. "We remain interested in all out investors’ points of view." In September, activist investor Bill Ackman’s Pershing Square Capital Management disclosed it had bought 9.9% of Chipotle’s shares. Late last year, Chipotle named four new people to its 12-person board of directors, including two who work with Pershing Square: Paul Cappuccio, Robin Hickenlooper, Ali Namvar, and Matthew Paull. Ackman spurred the shake-up. "Our relationship with [Pershing and Ackman] has been nothing but constructive," says Arnold. Chipotle has a small presence outside the U.S. Of the company’s 2,100 locations, 14 are in Canada, four in Paris, seven in London, and one in Frankfurt, Germany. Globally, the chain plans to open 195 to 210 restaurants this year. Arnold says the company is looking at opportunities in Europe. As part of that, Chipotle appointed Jim Slater as the company’s MD in Europe, based in the U.K., last September. The chain works with Woki Toki in Paris, and Entrée PR in London, which Arnold describes as niche boutique partners ingrained in those communities with a deep understanding of those markets. The firms work mostly with clients that are chef-owned restaurants or in fine dining. "They provide insight about what is going to work and be well-received. That’s core to what we’re doing and what might need to change," Arnold says. In Europe, Chipotle is copying a media relations strategy that worked when the company got started in the U.S. The message is it does not serve traditional fast food, and it is chef-founded and chef-run. "Working with publicists out of that world let us play effectively in the food media, particularly when we were in the earliest stages of growth," Arnold explains. "Over the years we have been reviewed by very real, major restaurant critics in every city. Playing in that space helped us secure good reviews and positive press in the New York food media." While 2016 had Chipotle "on its heels," Arnold says 2017 is a return to normalcy for the company. In April, it posted double-digit gains in sales and a return to profit from a prior-year loss. It recorded $1.07 billion in Q1 fiscal revenue, a 28.1% jump over the year prior. On a comparable store basis, sales jumped 17.8% during the quarter, marking the first positive same-store sales figures since the E. coli and norovirus outbreaks. Net income came in at $46.1 million for Q1, up from a $26.4 million loss. A recent study conducted by Market Force Information, which polled 11,000 people, showed Chipotle has reclaimed the top spot for Mexican food. The priority now is on reclaiming its food culture and doubling down on the marketing and comms programs that define what Chipotle’s all about. 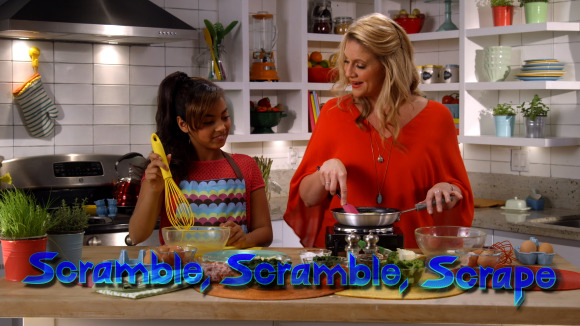 One of those programs is RAD Lands, an original, unbranded video series for kids that launched in March, featuring celebrity chefs, musicians, and YouTube personalities. Chipotle is partnering with Discovery Education for RAD Lands in School. "We wanted to create a program that would prompt discussion among parents and kids about food, where it comes from, and how it’s prepared," says Arnold. Chipotle also launched its largest ever ad campaign in April, called As Real as it Gets, a nod to the chain’s announcement that it doesn’t use any added colors, flavors, or preservatives. The campaign features actors bent on luring back diners via humor after a food-safety crisis led to a fall in sales. Arnold notes the fast-casual restaurant space is more crowded and competitive than five years ago. But he isn’t worried. He finds it encouraging that ethical food sourcing is becoming something "even the big guys" are looking at. "If we run our restaurants the way we are capable of, we can continue to succeed in a competitive environment," Arnold explains.